Like Ireland, Singapore has experienced dynamic growth and the opportunities and challenges that accompany it. Those challenges have been overcome through innovation, helping Ireland and Singapore to become known as 'innovation islands', hubs for world-class entrepreneurs and ecosystems that support the development of multinationals. Irish companies with disruptive, value-adding solutions are carving out business opportunities in Singapore. At Enterprise Ireland's recent trade and investment mission to the APAC region, Tánaiste Frances Fitzgerald got to appreciate the links that Irish-owned SMEs have developed first hand. Sixty Enterprise Ireland client companies participated in the mission across two market legs - Singapore and Japan - with the goal of securing export business in the wider Asia region. A tour of Singapore's tallest building was included on the second day of the mission, giving delegates a chance to observe the impact of Irish innovation on the city. The energy-efficient technology of Tanjong Pagar Centre towers over Singapore's Central Business District and is powered by Dublin-headquartered company Cylon Controls. As the developer Guocoland explained: "The brains of this building are Irish." Opportunities in greentech are a particularly good fit for the capabilities of Irish companies. Singapore is driving an ambitious environmental agenda, with a target of 80pc of buildings to be green by 2030 (currently at 33pc) and to increase the number of green specialists from 15,000 to 20,000 by 2020. The government is providing a Zero Capital Partnership, enabling building owners to engage Energy Performance Contracting firms for energy retrofits with zero capital outlay. Ireland's green-build cluster is supported by a sophisticated network of companies specialising in building energy-management systems, green-building materials, HVAC, lighting and energy technologies, as well as green architecture and engineering. Major names include Zutec and Kingspan Insulated Panels, whose Singapore office was opened by the Tánaiste during the mission. Enterprise Ireland collaborates in this space, working with the Singapore Green Building Council to provide new solutions that help the markets to "go green together". The aerospace and aviation sector also presents opportunities for Irish companies considering Singapore. Over the next 20 years, Asia-Pacific will have the greatest demand for aircraft. Ireland is viewed as a global centre of excellence for aviation, with a proud history of pioneering developments and dynamic innovation. Irish companies including CAE, Eirtech Aviation and Aero Inspection are leading the way, securing aviation opportunities in the wider APAC region from bases in Singapore. To capitalise on opportunities in the sector, Enterprise Ireland will participate alongside clients in the Aviation Festival Asia in Singapore in February 2018. There are good reasons for Irish business to look to the Asia-Pacific region. It has delivered an impressive 16pc year-on-year gain, making it the second-fastest growing region for Enterprise Ireland clients in 2016. 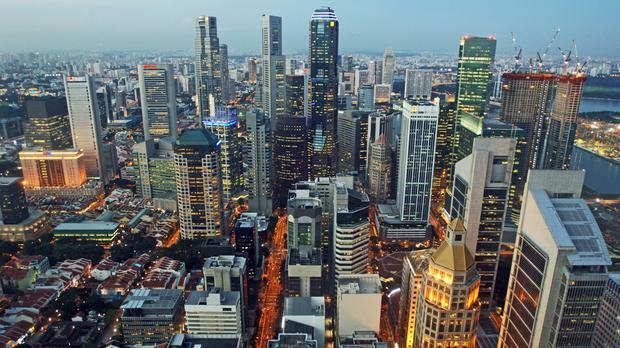 Exports from Irish companies to Singapore and the wider ASEAN region are growing steadily. The trade mission raised the profile of Ireland as a key supply base offering high-value solutions and created a number of partnership opportunities between Irish and Singaporean companies throughout the ASEAN region. The ASEAN office based in Singapore will expand resources over the coming months to further support Irish clients in their growth as they diversify through the region. Ireland and Singapore work well together because of what we have in common, a history of economic growth based on a trading perspective, investment in education and training, support for innovation and R&D, and an ability to succeed in the global marketplace.